Euronews is taking the temperature in Brussels over Brexit after the UK Prime Minister won backing from MPs to renegotiate the Withdrawal Agreement, but there seems little appetite for it in the de facto European capital. "The only point I want to raise is to confirm that the EU institutions remain united and we stand by the agreement we have negotiated with the UK, never against the UK," Michel Barnier said as he left a meeting of the Brexit steering committee in the European Parliament. "We shall never destroy the internal market. This is too important for our companies and economics and we shall never abandon our Irish friends," the parliament's chief Brexit negotiator MEP Guy Verhofstadt reiterated. German MEP Elmar Brok was a little more forthright. "There is not one vote on a positive proposal. And they have still not talked to the parties. All the time. In Germany and all other countries the opposition and the government would talk to each other. They do not do that. They should come up with a proposal and meke up their mind for a constructive solution," he told Euronews. 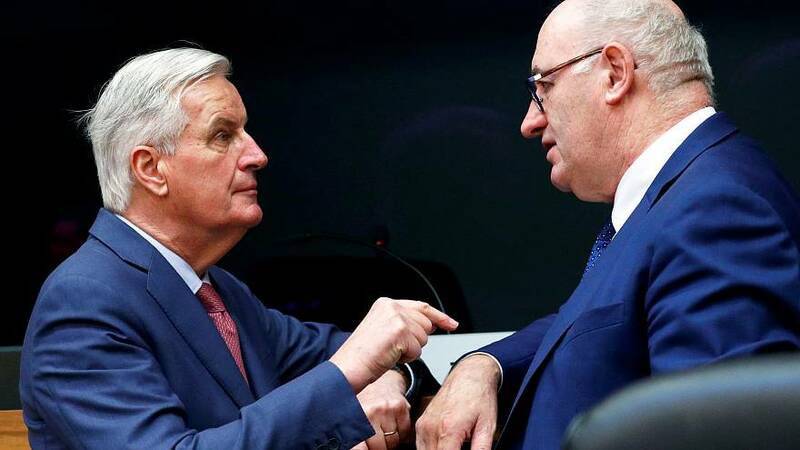 The Commission Vice President Frans Timmermans stayed broad saying, "we continue to urge the UK government to clarify its intentions with respect to its next steps as soon as possible." This article will be updated when the European Parliament session meets later in the day to discuss Brexit. Speaking to Euronews UK MEP Nigel Farage said he expected, "arrogance, intransigence and no shift and no give from Brussels at all. I hope I'm wrong. But I just think these people, particularly the Junckers and the Barniers the un-elected European Commission they are bigger, stronger more powerful than national governments and I suspect what you're going to get this afternoon is the British public becoming even more angry about the way these negotiations are being handled."